President Muhammadu Buhari has directed the Nigerian National Petroleum Corporation (NNPC) to extend its exploration to six basins in the country. 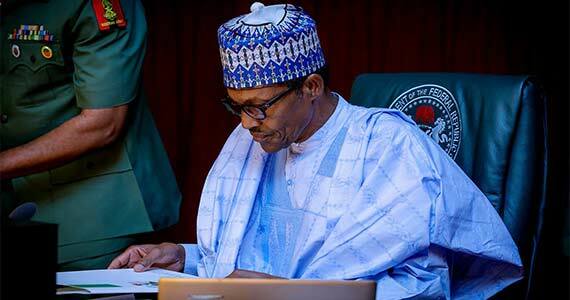 Buhari gave the directive at Barambu town in Alkaleri Local Government Area of Bauchi State while flagging-off the commencement of drilling activities at Kolmani-II Oil Well, Gongola Basin, Upper Benue Trough. â€œExploration in our frontier basins is imperative to the economy of the country. â€œI therefore, have directed NNPC to intensify its campaign in the Chad Basin, to discover new hydrogen to extend the economy of the people within the region and the nation at large. â€œOur next level is to ensure that exploration is extended to Chad Basin, Gongola Basin , Anambra Basin, Sokoto Basin, Dahomey Basin, Bida Basin and Benue Trough, for more prosperous Nigeria. â€œGas and oil remain critical to the present economic development of our country and the future,â€ he said. According to him, they remain â€œkey to the implementation of our budget at all levels of government, NAN reports. He further commended the NNPC for the exploration into Kalmani River II Well, which he said, will spur-off socioeconomic activities. â€œThat era led to the drilling of 23 wells, which two were of gaseous, where NNPC acquired 2,000 square meters of land in the basin,â€ he added. Buhari also commended security agents for working tirelessly to ensure that the area was safe to conduct exploration activities.